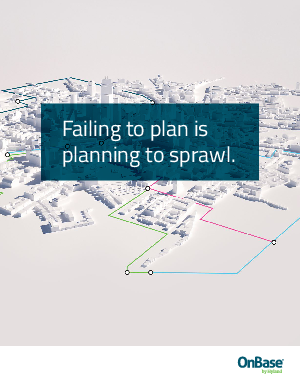 > OnBase by Hyland > Want to take on IT sprawl? Start thinking like an urban planner. Stop IT sprawl and discover unlimited potential with a single enterprise information platform.